Oh, my! I loved reading this book! It comes out on March 20 – I was fortunate to get an advanced reader copy – but you can preorder it now! 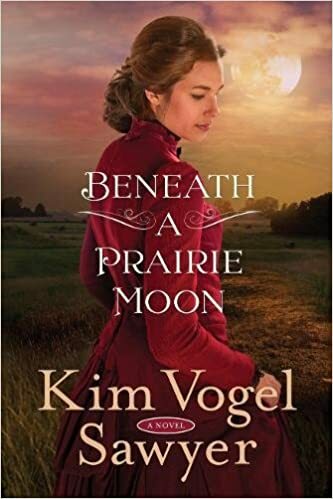 Beneath a Prairie Moon did have a couple of unexpected twists at the end but otherwise was a semi-predictable (it’s a romance novel, remember! ), sweet, wonderful, clean Christian romance occurring in 1888 in a very small town in Kansas. I thoroughly loved it and just did not want it to end, even as I stayed up way to late trying to find out what would happen! I enjoyed the characters, especially as their relationships with God and each other changed. Miss Hoity-toity Abigail begins to soften – both towards God and other people – but will she be able to trust again? At one-point Helena, Mrs Matchmaker herself (otherwise known as Mrs. Bingham), aims a “teary smile at the ceiling. ‘God, I suspect You have a plan. I trust You to see it through.’” I don’t want to say too much about what happens, but it is good! I highly recommend this book! I received a copy of this book from the publisher. I am freely writing a review – all thoughts and opinions are my own. 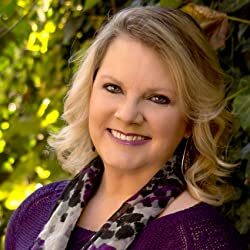 The Author: Award-winning, bestselling author Kim Vogel Sawyer is a wife, mother, gramma, chocolate-lover, cat-petter, and–most importantly–a daughter of the King! With more than 1.5 million books in print in seven different languages, Kim enjoys a full-time writing and speaking ministry. Her “gentle stories of hope” are loved by readers and reviewers alike. She enjoys spending time with her three daughters and many grandchildren. Kim and her retired military husband, Don, reside on the plains of (central) Kansas, the setting for many of her novels.